Top Decking Contractor in MA- Marine Home Improvement, Inc.
A complete outdoor space is one that includes ample room to entertain, play or relax. Don’t miss out on the opportunity to get the most from your backyard by installing a deck built to your personal lounging and entertaining habits. Our licensed team members have delivered high-quality decking to numerous satisfied clients throughout the years and are equipped to provide you with the best design and execution for your decking project. We serve homeowners throughout Rhode Island and eastern Massachusetts who are looking to improve their outdoor space and bring the comfort of indoors outdoors to their yard. Regardless of size, we can guarantee excellent construction and superb customer service and professionalism. 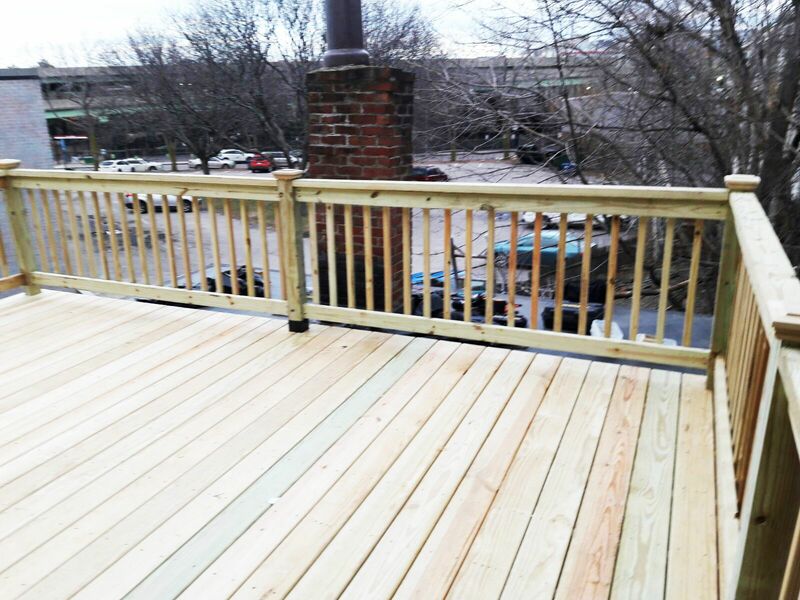 At Marine Home Improvement, Inc we specialize in composite decking, porches, and triple decks to name a few. We work with brands like Trek, Cedar Teck, Trenda, Azek to bring you some of the finest materials, ensuring your porch or deck lasts for years to come and never disappoints. 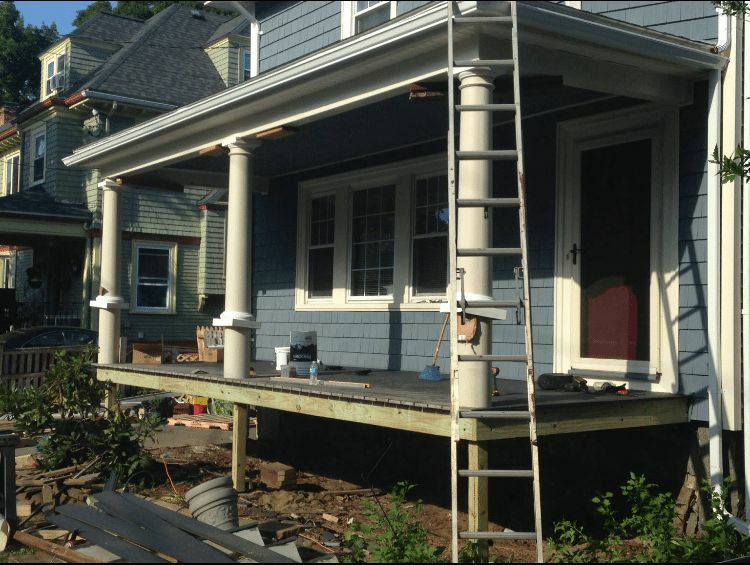 If you are looking to expand a porch or renovate a failing deck call our team for an immediate quote. 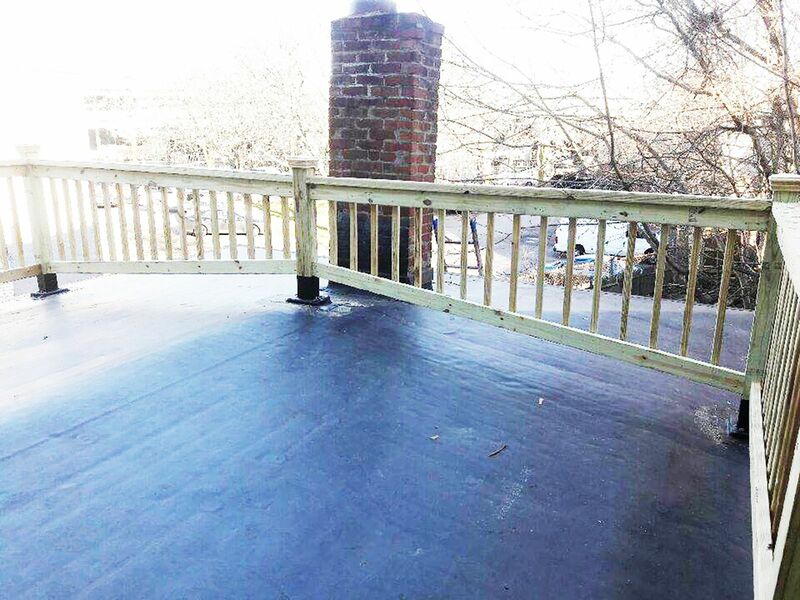 Homeowners can trust Marine Home Improvement decking experts to assess and prepare efficient plans for reconstructing or repairing an existing deck or porch. You can also ask our team about expanding on your existing set-up by widening, adding new levels and more. 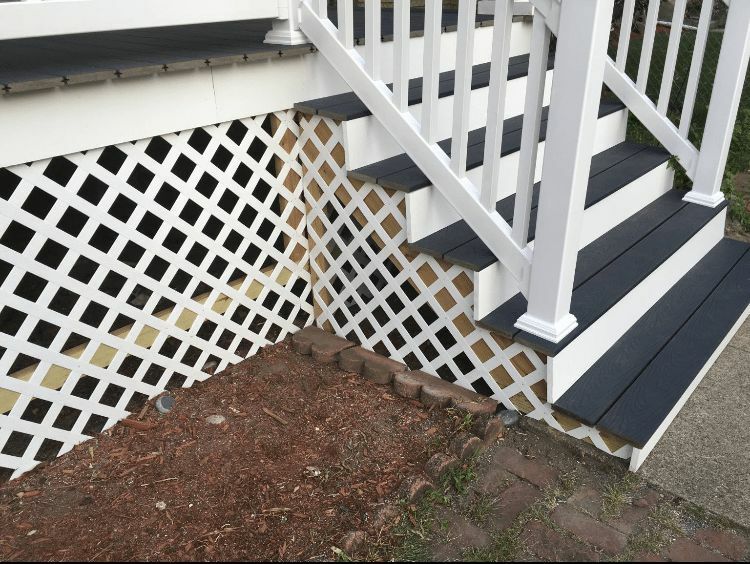 We also take pride in the details, such as railings, stairs and handrails so your deck or porch is safe and complete. Home improvement can be a fun investment with the right team, and we know you’ll love the experience we provide from start to finish at Marine Home Improvement, Inc. Ask us all of your decking and porch questions today and demystify your next outdoor project! Ready to relax on your brand new deck? Call us today at 781-603-9133 to get a personalized quote using the form below.